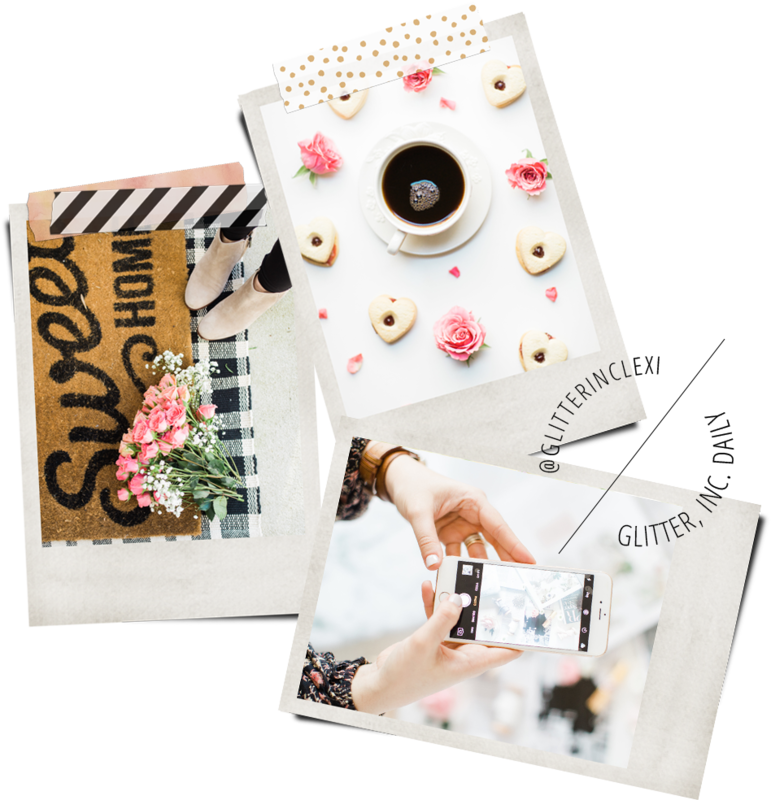 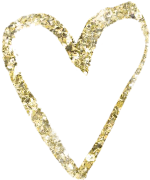 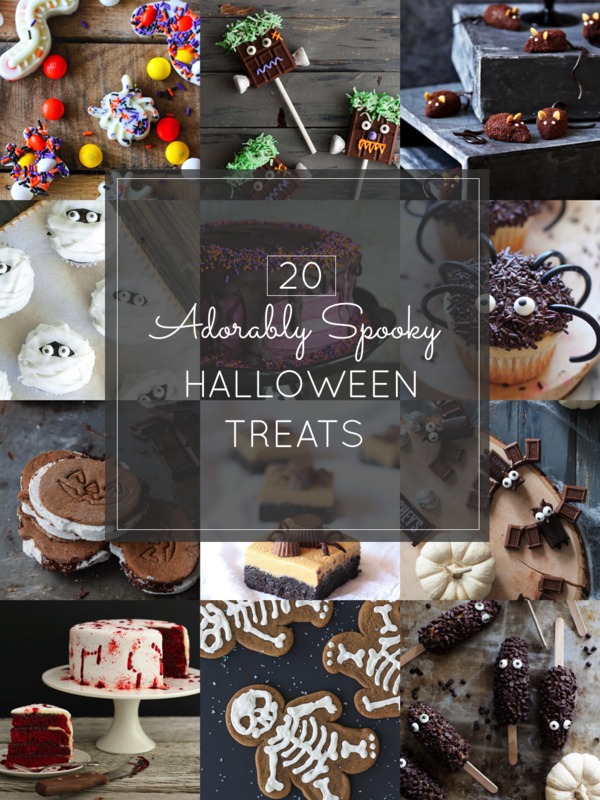 20 Adorably Spooky Halloween Treats | Glitter, Inc. 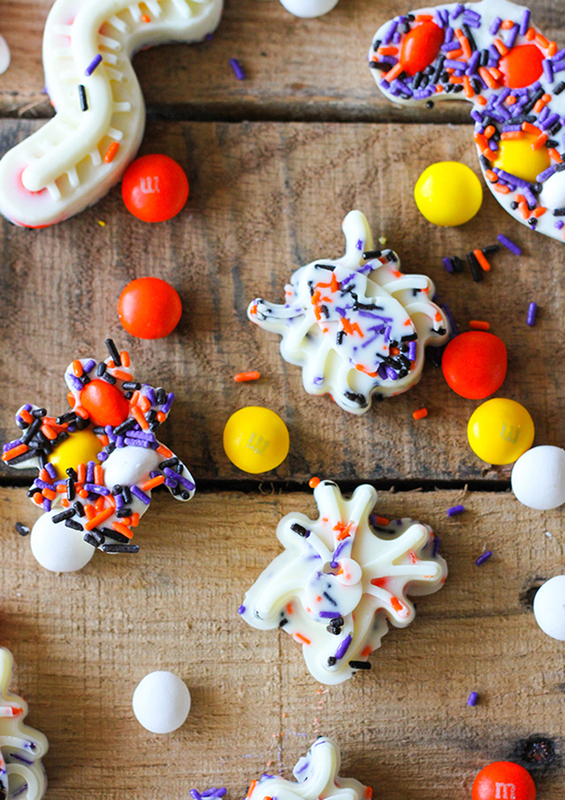 I love that Halloween treats are fun to make with the kids; the little ones have so much fun covering everything in sprinkles and spooky candy eyeballs. 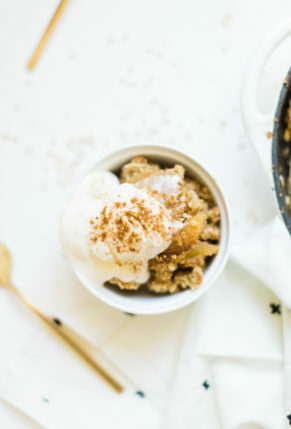 Though she’s still a bit small, last week Scarlett and I made candy corn rice krispy treats, and on Friday we’re going to decorate cookies for Halloween. 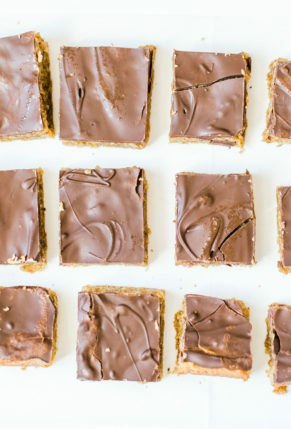 I also want to make a few homemade candies, like these homemade twix bars. 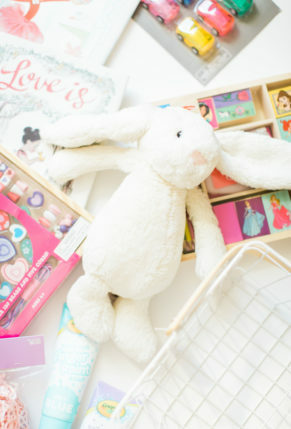 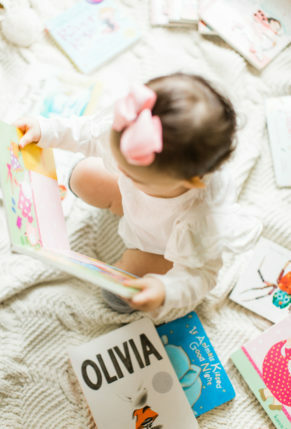 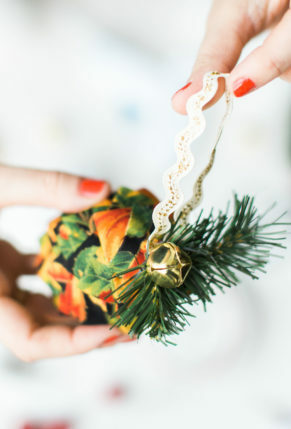 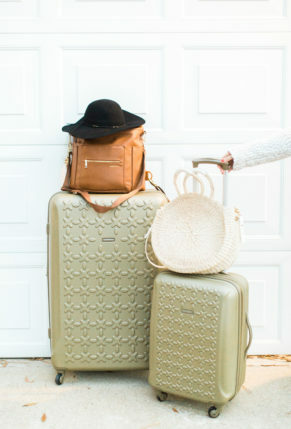 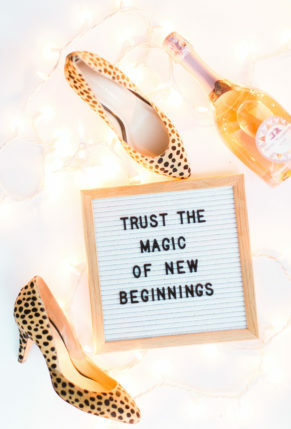 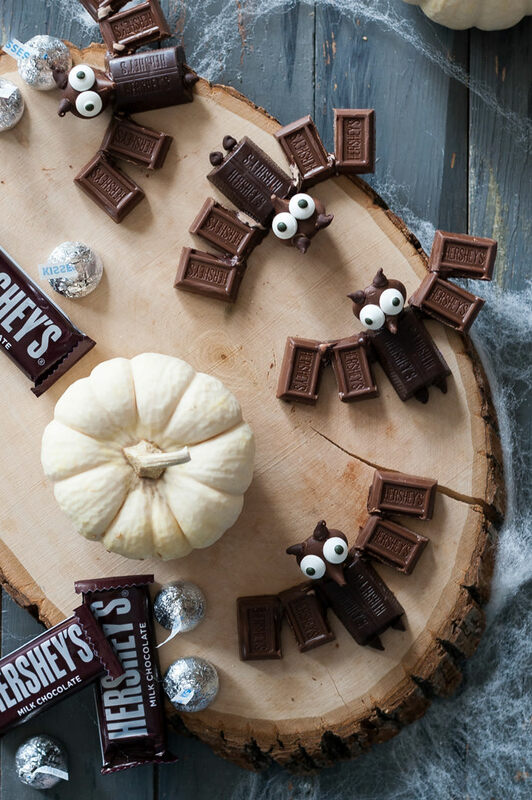 There are just so many creative ways to play with candy this Halloween! 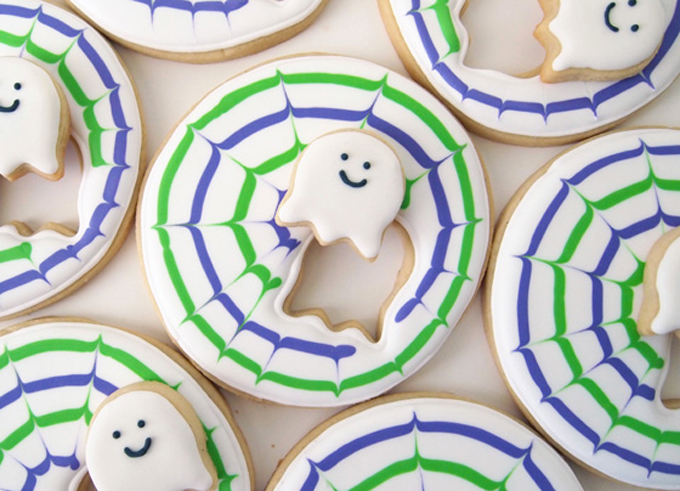 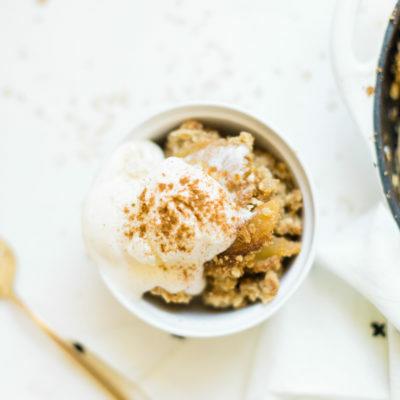 White Chocolate Spider Bark Bites via Eighteen 25. 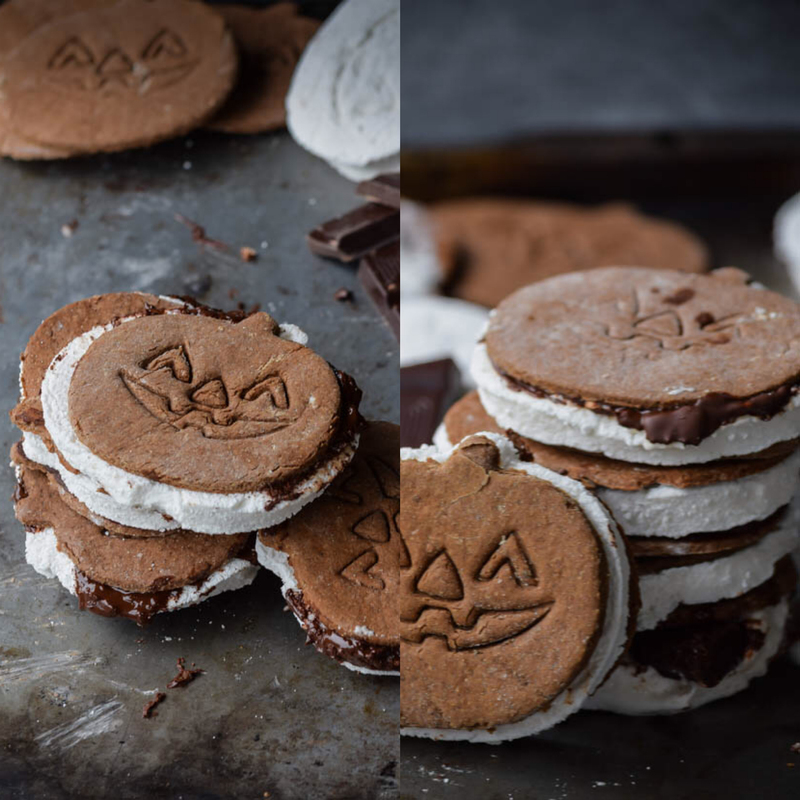 Chocolate Jack-O-Lantern Graham S’mores with Homemade Marshmallows via Gringalicious. 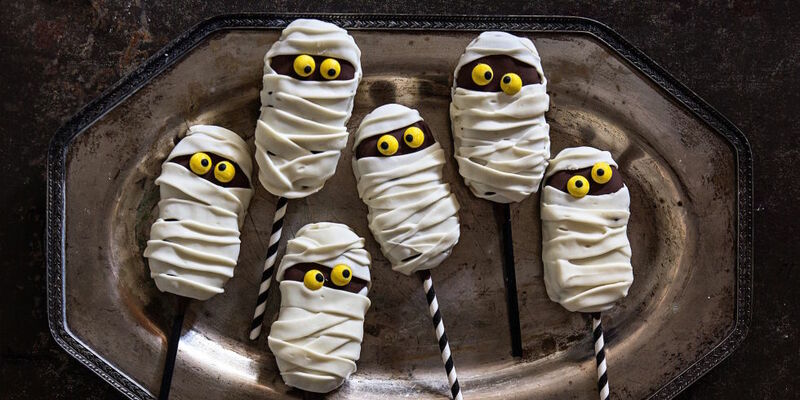 Nutter Butter Mummy Pops via Delish. 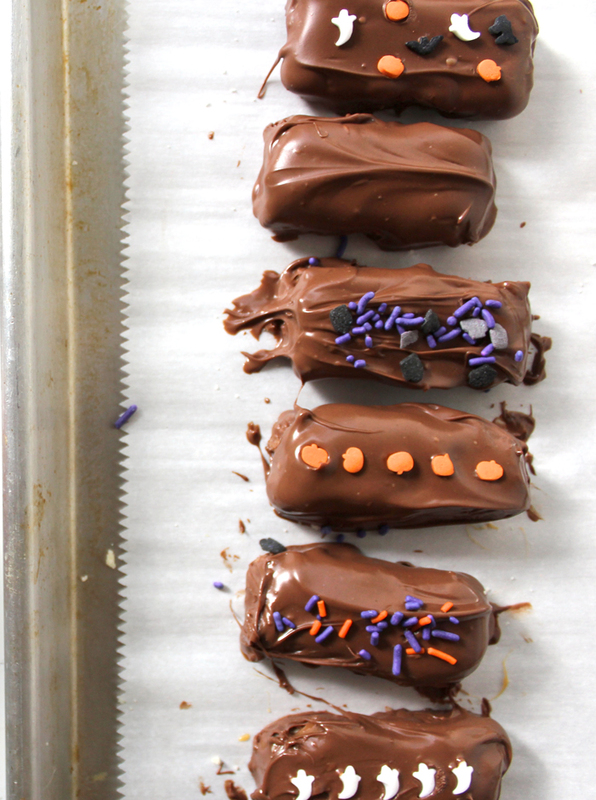 Chocolate Bats via Handmade Charlotte. 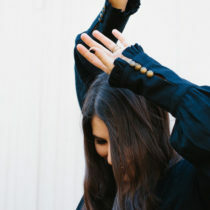 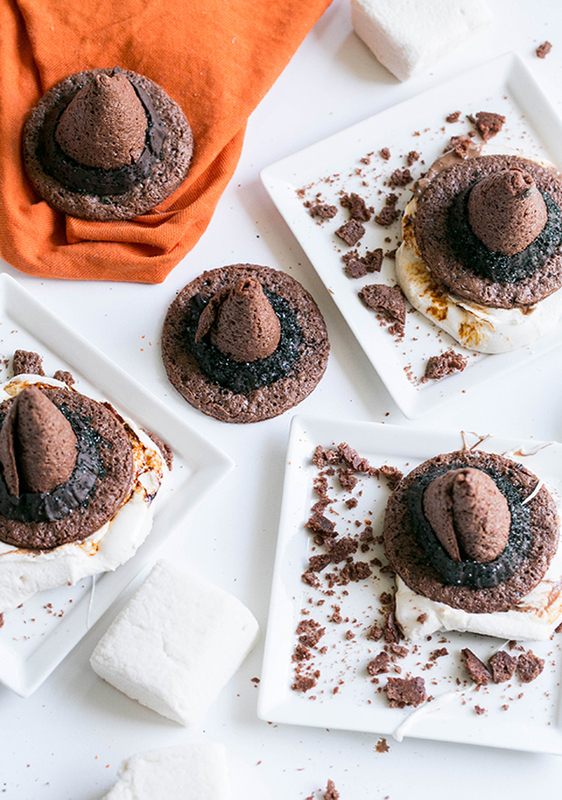 Witch Hat S’mores via Sugar & Charm. 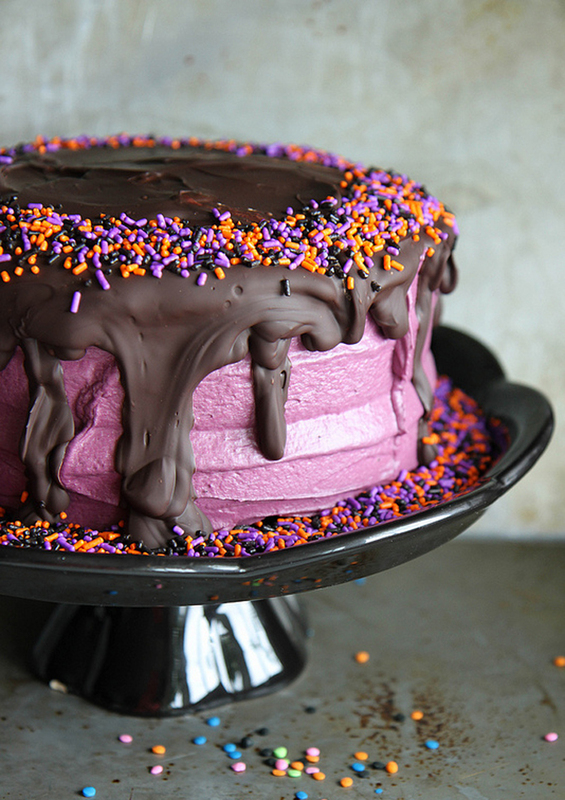 Black Velvet Cake via Heather Christo. 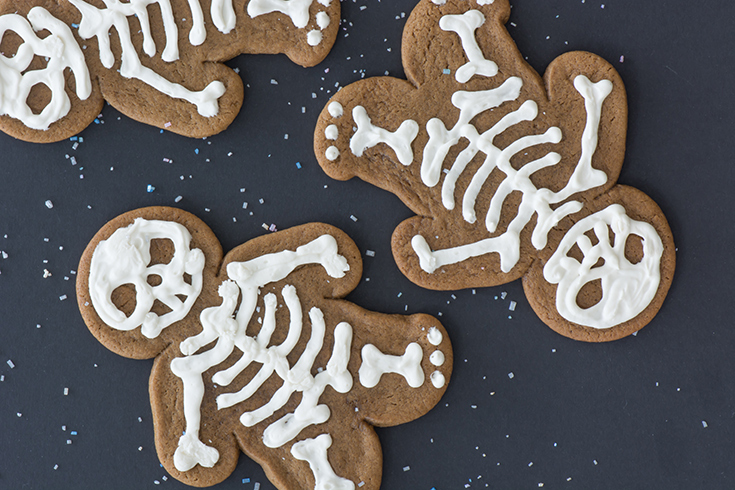 Gingerdead Cookies via Kailley’s Kitchen. 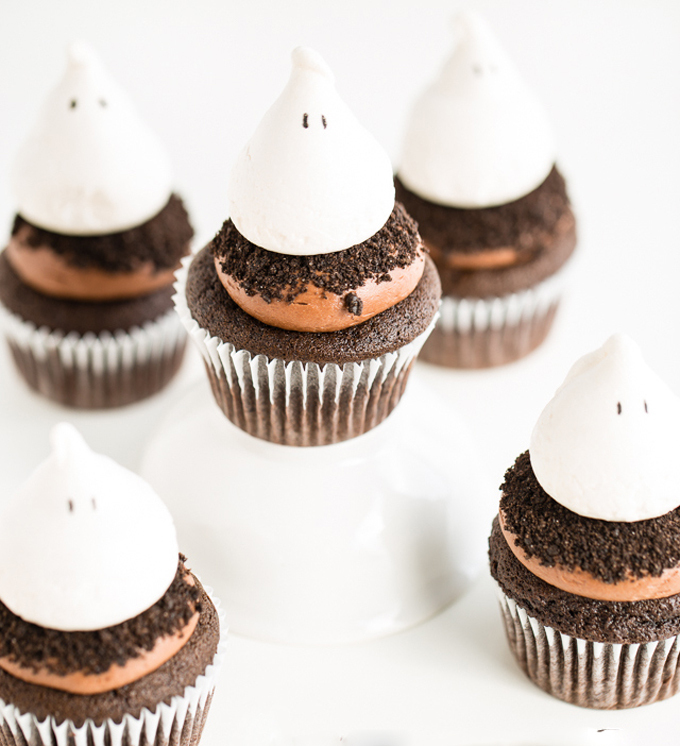 Chocolate Ghost Cupcakes via Chocolate & Carrots. 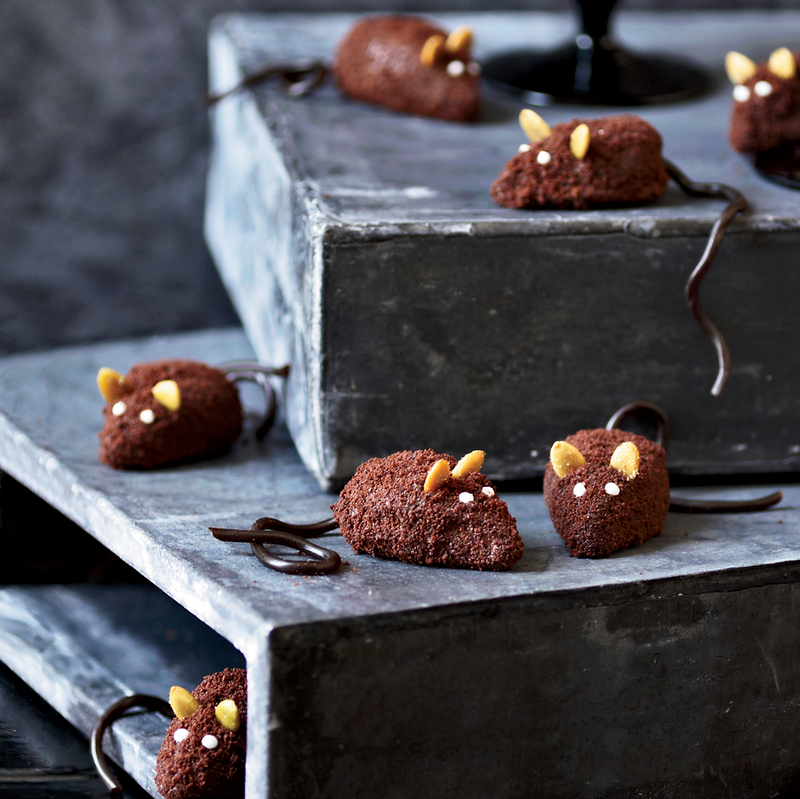 Chocolate Mice via Food & Wine. 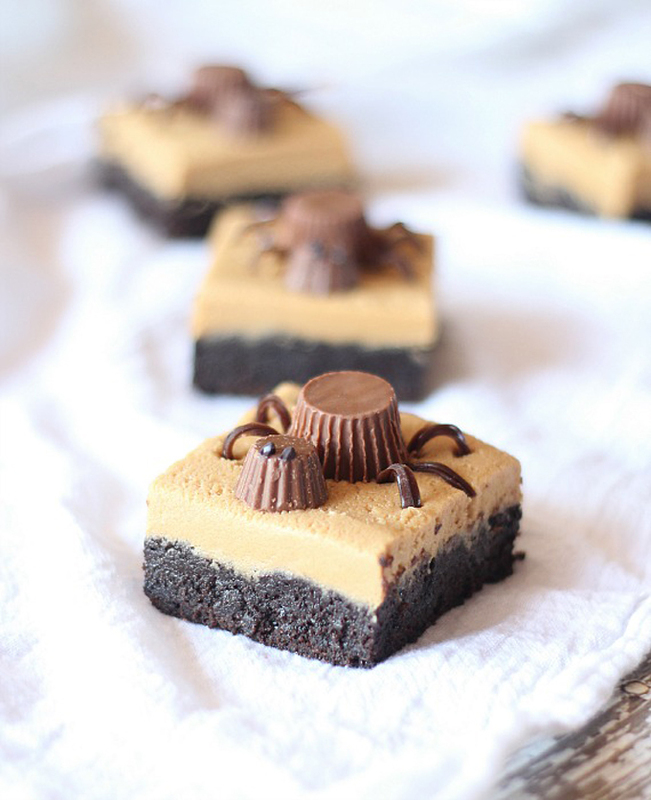 Peanut Butter Cup Cookie Dough Spider Brownies via Cookies & Cups. 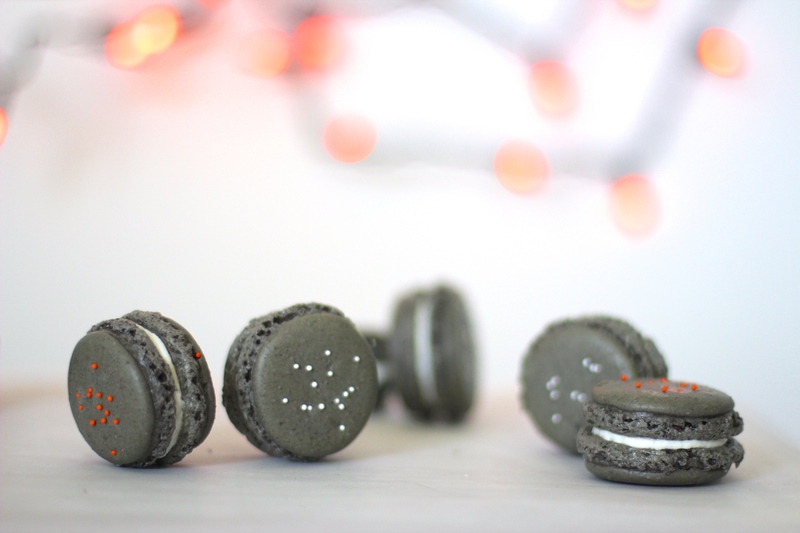 Oreo Macarons via Glitter, Inc.
Sneaky Little Ghost Cookies via Make Me Cake. 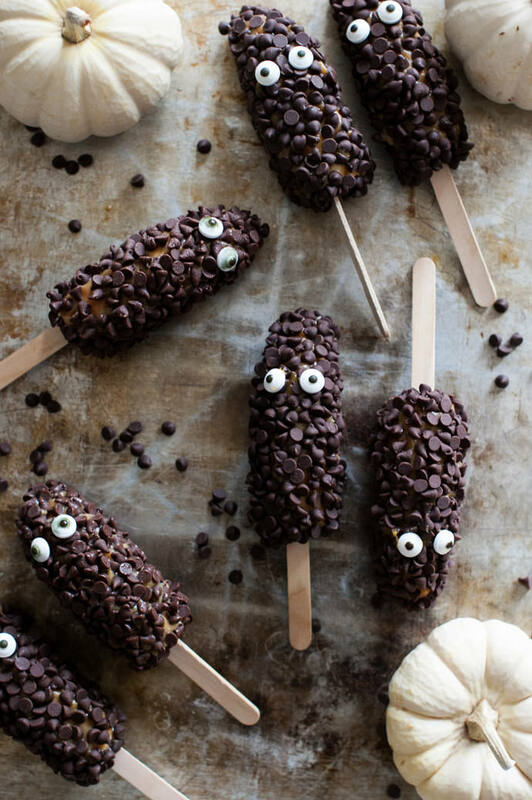 Chocolate-Caramel Banana Goblins via Handmade Charlotte. 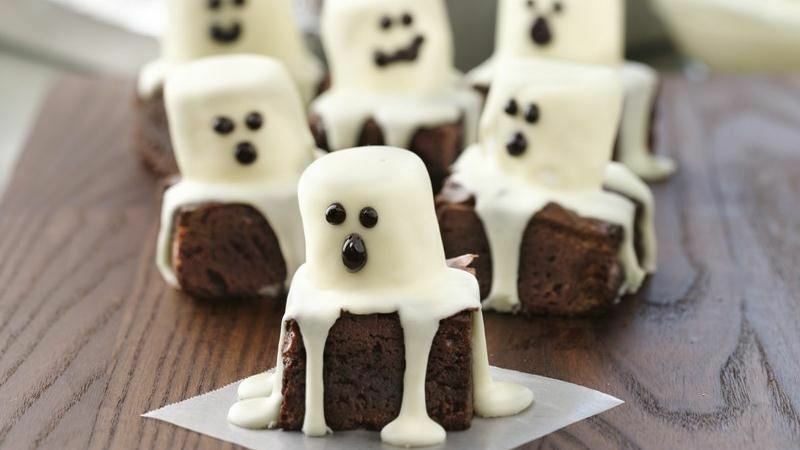 Spooky Boo Brownies via Betty Crocker. 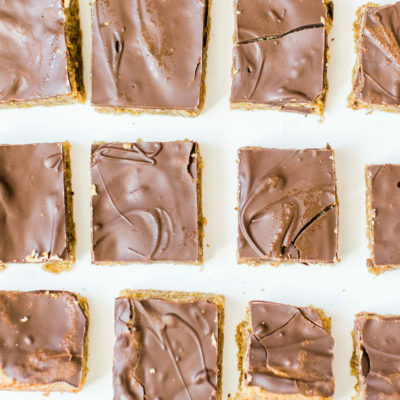 Homemade Twix Bars via Glitter, Inc.
Vampire Attack Cake via Butter Hearts Sugar. 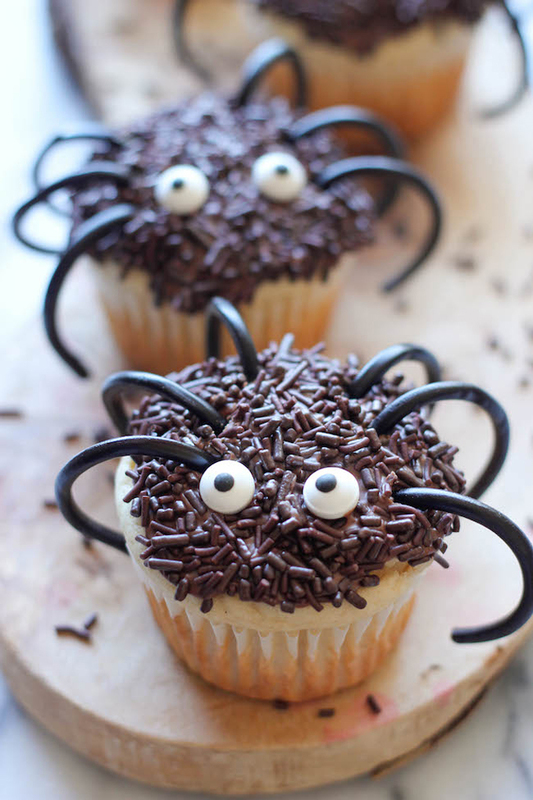 Halloween Spider Cupcakes via Damn Delicious. 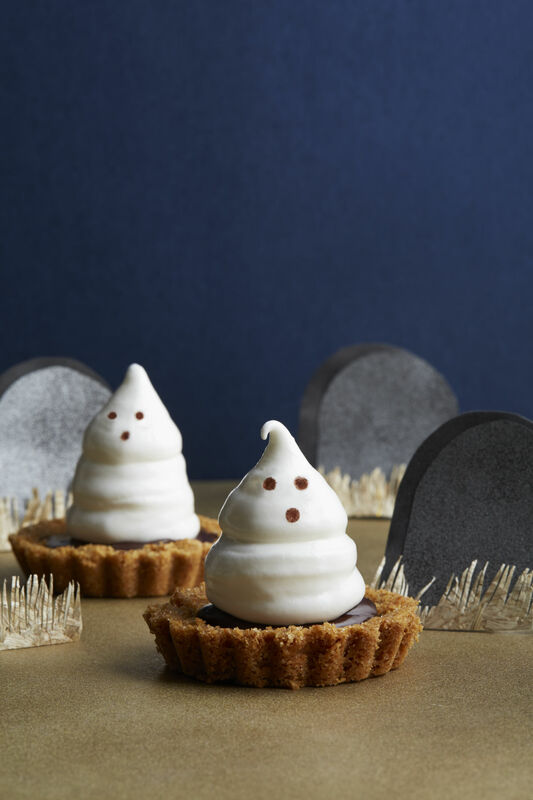 Meringue Ghost Chocolate Ganache Tartlets via Country Living. 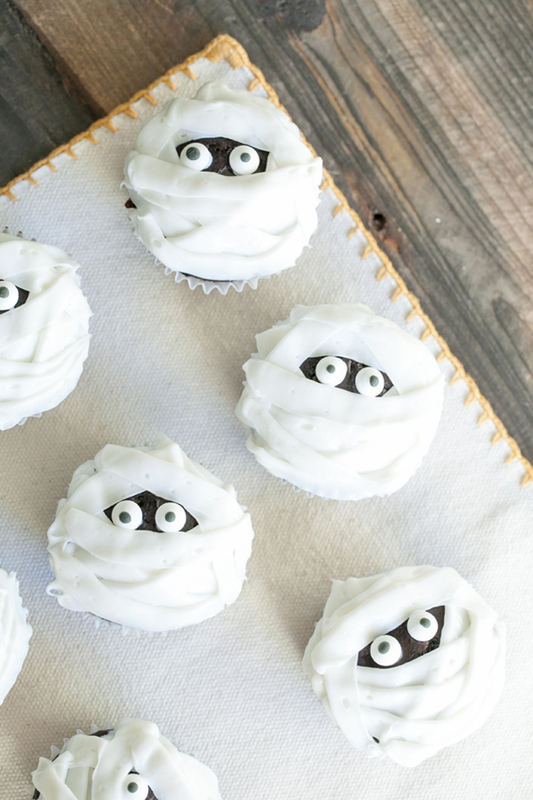 Chocolate and Vanilla Mummy Cupcakes via Sugar & Charm. 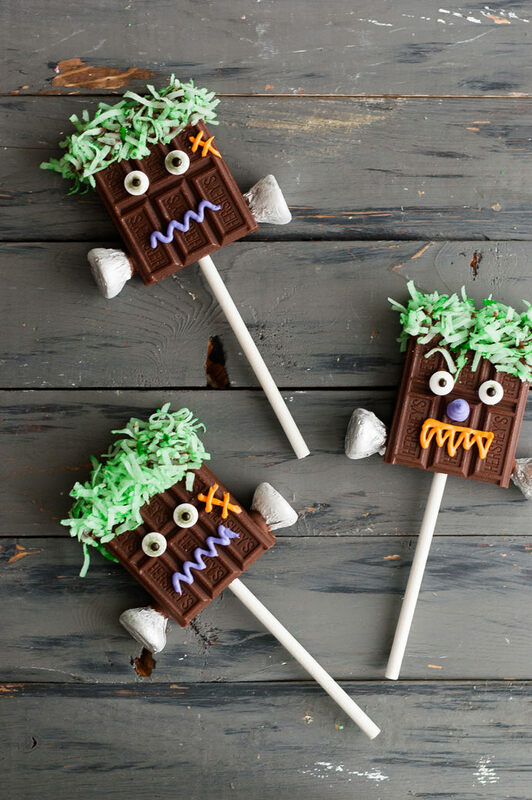 Chocolate Monster Pops via Handmade Charlotte. 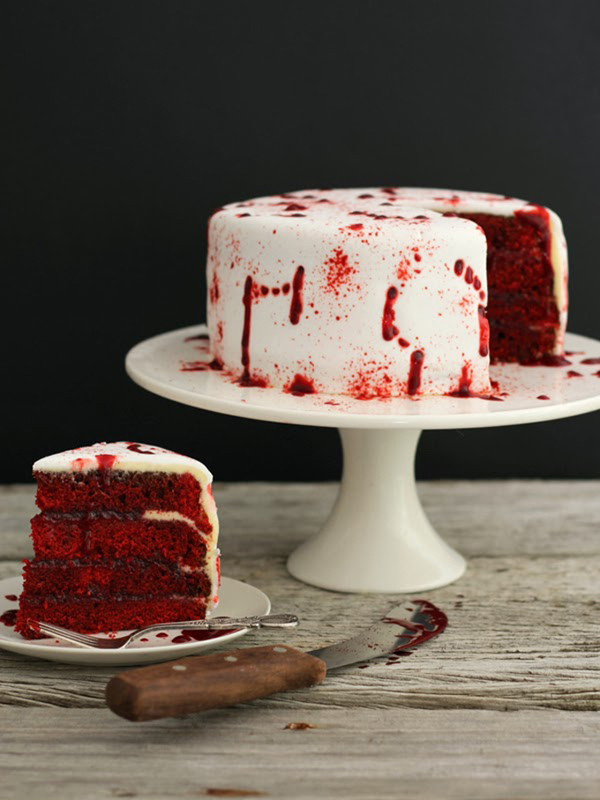 Any favorite spooky Halloween treats?